Humans invented "waste." The concept does not exist in Nature. The output of every natural life form or process is the input for another. In a natural ecosystem, the inputs and outputs are n perfect balance. Animals take in oxygen, burn carbohydrates, and give off carbon dioxide. Plants take in carbon dioxide and give off oxygen. Nature is a symbiotic synergy. The mathematics of synergy is 1 + 1 = 3. The entire ecosystem is much more than the sum of its parts. In stark contrast, the mathematics of humanity in disharmony with Nature is 1 + 1 = -3 (suicidal unsustainability). Consider our landfills and oceans full of non-biodegradable disposable plastic, made from unsustainable expensive imported oil. Previous human cultures (like Native Americans greatly respected the balance of Nature. Industrialized humans now suffer from selfish Nature Deficit Disorder . We are thoughtlessly killing our own Mother Earth. Nature does NOT produce concentrated nuclear waste that kills everything around it for a thousand years, as insane humans continue to do. "Natural selection" will only allow those to survive that can live in harmony with Nature. In Nature, there is an evolved balance between predators and prey - food supply equals food consumers. In Nature, if the conditions for life become insufficient in one location, life forms migrate to a more-abundant place (or die). Intransigent humans stay in one unsustainable place, over-populating and overexploiting local resources. After we destroy the only blue-green Earth that humans can reach in a lifetime, what will we then do? On Earth we cannot throw anything away - THERE IS NO "AWAY"
It consumes huge unsustainable resources and energy to produce and dispose of these "throw away" things. Waste consumes even more finite resources to collect and dispose of disposable things. "Out of sight, out of mind" landfill garbage disposal is NOT SUSTAINABLE. Waste AND landfills MUST be eliminated, if humanity is to avoid suicide. In the poorly-planned, terribly-mismanaged corrupt Chicago suburbs, there are miles of methane-producing mountains of old garbage, covered with grass. Residential neighborhoods have grown up around the pollution that they will produce for centuries. Shall we turn the entire world into a huge, uninhabitable smelly garbage dump? Over-population, urbanization, and exploding landfills are terrible trends for our precious children. William McDonough's eBook “Cradle To Cradle” (C2C) was written with his colleague German chemist Michael Braungart. C2C calls for the radical reinvention of human industry with ecologically-intelligent, Zero-Waste, beginning-to-end recyclable design. It provides historical sketches on the roots of the industrial revolution; commentary on science, nature and society; descriptions of key design principles; and compelling examples of innovative products and business strategies that are already reshaping the marketplace. The authors make the strong case that an efficient C2C industrial system can become a creator of goods and services that generate great ecological, social and economic value. They argue effectively that the conflict between industry and the environment is not an indictment of commerce but an outgrowth of purely-opportunistic shortsighted design. Most products and manufacturing systems that grew out of the Industrial Revolution reflect the narrow, non-integrated perspective spirit of the day, without concern for the long-term, unintended, tragic environmental consequences for us all. Delivering milk in a disposable petroleum plastic jug (instead of a more-hygienic, reusable glass bottle) may sound like a reasonable thing to do, IF you cannot see beyond the end of your own nose, but have you ever visited a landfill full of plastic containers that will take up space and pollute the Earth for hundreds of years? Have you noticed the price of unsustainable imported oil, or what petrochemicals are doing to our health and environment? Disposable plastic is NOT C2C! With our growing knowledge of the living earth, future design must reflect a new spirit of living in harmony with Nature. Designers need to learn how to employ the intelligence of natural systems that have refined and balanced themselves over billions of years. C2C round-trip nutrient cycling is not only environmentally prudent, but also the most cost-effective overall long-term solution to food production. Clean, green, free-fuel (solar, wind, etc.) Abundant Energy in Harmony with Nature®, can become the foundation of homes, offices, and industry that create innovative never-before new products and services that allow Nature, commerce and universal prosperity to fruitfully and sustainably coexist. The “Cradle-to-Cradle” eBook illuminates McDonough and Braungart's new design paradigm, offering practical steps on how to innovate within today's economic environment. Part social history, part green-business primer, part design manual, their eBook makes it plain that the re-invention of human industry is not only within our grasp, it is OUR ONLY REALISTIC HOPE for a SUSTAINABLE, PROSPEROUS FUTURE. “Cradle-to-Cradle” is available as a paperless electronic eBook from Amazon.com. Already-in-place, inherently-unsafe NUCLEAR WASTE will continue to pollute our Earth’s delicate environment for many thousands of years into the future. 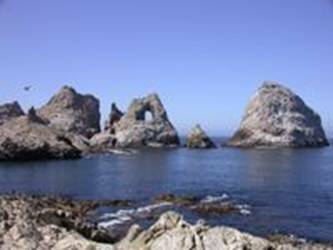 From 1946 to 1970, the ocean around the Farallon Islands National Wildlife Refuge (Part of the City and County of San Francisco) was used as a DUMP SITE FOR RADIOACTIVE NUCLEAR WASTE, under the self-righteous arrogant authority of the insane U.S. Atomic Energy Commission. The dumping of deadly radioactive wastes by the United States was finally terminated in 1970, AFTER at least 47,500 fifty-five-gallon steel drums were dumped in the City of San Francisco, with a massive total estimated radioactive level of 14,500 Curies (Ci). The thin steel drums have now corroded and leaked their deadly contents into the San Francisco Bay. Clean up is simply not possible. Some used to say that “The solution to pollution is dilution” but with 7 billion people on Earth (and growing), that is outrageously-oversimplified unscientific stupidity. If you eat at the historic San Francisco Fisherman’s Wharf, NONE of the fish can be from anywhere around San Francisco – they are totally carcinogenic. When you eat lobster at Fisherman’s Wharf, it is usually from Maine, or half-way-around-the-world (at high petroleum transportation cost). The fishing boats outside the restaurant window are for nostalgic atmosphere only – NOT for fishing. Once upon a time, San Francisco Bay was a wonderful place for fresh-and-nutritious seafood – a staple of the west coast, but then in only 24 years, the hand of myopic mediocre-minded men damned it all for thousands of years yet to come (as we are now doing in so many other areas TODAY). Greedy humans are still destroying our source of life – The Suicide of Humanity! 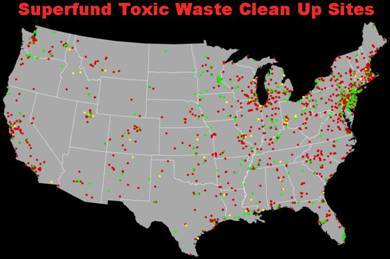 Outrageous dumping of nuclear waste was encouraged by our corrupt (lazy) federal government. It will continue to pollute the wildlife and people of the County of San Francisco and surrounding areas for thousands of years in the future. It is slow, painful death on the installment plan, not only of humans, but also Nature’s wildlife. There was-and-is NO safe form of nuclear energy to this very day, and none on the reliably-foreseeable future. The Earth was once our friend – our only source of life. Would YOU dump deadly material in your friend’s living room (as humanity is STILL doing today)? American Nuclear Energy is the farthest thing possible from C2C! Nuclear power pollution is the absolute antithesis of living in harmony with Nature, regardless of the profiteering “greenwash” lies that nuclear advocates use to bribe our Crooked Congress and President. Reducing carbon dioxide is NOT the only environmental challenge that we face today. Nuclear Fission Is Inherently UNSAFE . Nuclear safety depends on human operators. Small human errors have been catastrophic. Operators are required to work stressful swing shifts, unexpected double shifts, etc. All humans make mistakes eventually – The nuclear question is not IF, but rather WHEN and WHERE the NEXT nuclear catastrophe will happen. How huge will it be? Will you be surprised if tomorrow’s news is about yet another nuclear facility disaster? Do you want hazardous nuclear waste disposal in your grandchildren’s backyard, or near their school? There is NO SAFE WAY, and NO SAFE PLACE, TO DISPOSE OF LETHAL, RADIOACTIVE, NUCLEAR WASTE. Nuclear Fission has NO FEASIBLE CRADLE-TO-CRADLE PLAN! We must END our dependence on nuclear power - NOT subsidize it! France produces roughly 78% of their electricity from nuclear energy. Belgium is about 65%. They are now using dangerous 1972 technologies to reprocess and recover part of the spent uranium and plutonium. Similar reprocessing technologies are also used in Germany, UK, Italy, India, Japan, Russia, and one site in New York. At first, it sounds like a step toward C2C, BUT . . . Since the 1972 U.S. Three Mile Island meltdown, America has suspended construction of hazardous nuclear reprocessing facilities, due to their unavoidable, potentially-lethal catastrophic failure possibility. This American decision was proven correct when in July 2008, there were TWO nuclear waste material spills at Areva-controlled French nuclear facilities. One contaminated the ground water so badly that all use of well water has been banned indefinitely (a significant impact to the local French economy). Local residents should all carry Geiger Counter radioactivity detection systems. Water as we all know is a life-critical scarce resource. Radioactive water is both carcinogenic, and potentially lethal. 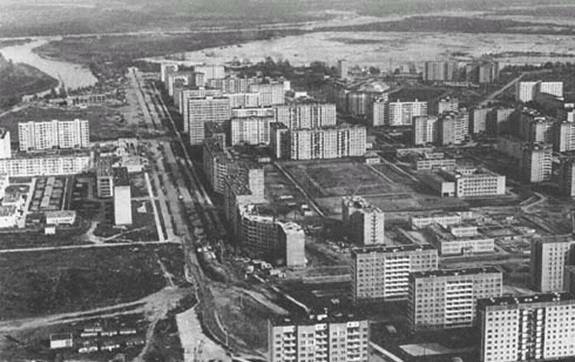 The buildings around the 2008 French ground water radioactive contamination should have all been abandoned, just like Chernobyl was. Increased rates of deadly cancer are now likely in their future. Is this want we want for our children? Areva has been trying to sell their dangerous nuclear-waste reprocessing systems to the U.S. for many years now. The 2008 irrefutable PROOF of its hazardous nature is likely to continue to prevent its use in the USA for some time now. U.S. press was encouraged by our federal government, and nuclear profiteers, to play down the two 2008 French nuclear contamination accidents. Have you heard about it before? The U.S. Federal Government was developing a nuclear waste dump site at Yucca Mountain near Las Vegas. 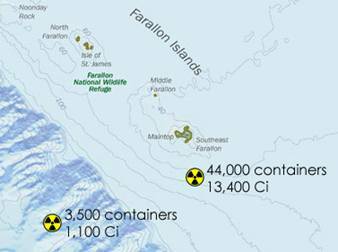 It was supposed to store 77,000 tons of Extremely-Deadly Nuclear Waste. No one in Nevada wanted it. Two geologic fault lines were discovered on either side of Yucca Mountain, which could have caused a nationwide catastrophe. July 29, 2009, the U.S. Senate voted to cancel the Yucca Mountain nuclear waste disposal project - $14 Billion of previously-spent scarce taxpayer funds were written off! This fulfilled Obama’s campaign promise to terminate the Yucca Mountain project. BUT, it leaves America with NO WHERE TO STORE EXISTING NUCLEAR WASTE, much less allow for ANY growth in future expensive nuclear-power plants - This is a GOOD step toward terminating the future of U.S. nuclear power – There is NO safe, cost-effective, disposal plan. Their is NO nuclear fission Cradle-to-Cradle possibility on the foreseeable horizon. It is suicide for humanity to endorse anything unsustainable that has no C2C possibility. “ Superfund ” is the common name for the U.S. Comprehensive Environmental Response, Compensation, and Liability Act. Superfund created the Agency for Toxic Substances and Disease Registry, and it provides broad federal authority to clean up releases or threatened releases of hazardous substances that may endanger public health or the environment. The law authorized the Environmental Protection Agency (EPA) to identify parties responsible for contamination of sites and compel the parties to clean up the sites. Where responsible parties cannot be found, the Agency is authorized to clean up sites itself, using a special trust fund. Superfund was enacted by Congress in response to the Love Canal disaster in New York, dioxin exposure in Times Beach, Missouri, and the environmental contamination at the Valley of the Drums in Kentucky. Superfund transferred many billions of dollars of environmental damage clean up away from the greedy profiteers who created the problems, and dumped the burden on the head of our deeply indebted children. Myopic, mediocre-minded customers of extreme polluters tolerate and reward insanity. Most “GREENWASH” community planners cannot imagine a cost-effective way for a city of a million people to exist in today’s disposable-everything world without a large, stinky, unhealthy, landfill dump. The Emerald Eco-City No Landfill solution will obviously require radical reinvention, which business-as-usual non-learning mediocre minds will think is WACKO. A million people are a critical-mass economy-of-scale that can make our challenging C2C No Landfill goal COST EFFECTIVE. We will need an expensive reuse-focused infrastructure to make it happen. Frugality was a great virtual that was required to survive in the early days of New England. “Use it up. Wear it out. Make it do, or do without” has been repeated billions of times. Emerald Eco-City is NOT a place of austerity. Residents will never have to do without the essentials of a luxury lifestyle, BUT we WILL eliminate the unnecessary, and shift our focus to cost-effective durability and reusability. Far too-many things are simply discarded, when they should have been designed for long life, and easy / inexpensive upgradability (like computers, etc.). No Landfill – No Compromise. The obsolete goal of landfill reduction is simply unsustainable and insufficient. We MUST stop using Earth as a garbage dump. Emerald Eco-City will leave Earth much cleaner and greener for our future offspring than the selfish, greedy, profit-motivated, narcissistic Baby Boomers did for theirs. 3. RECYCLE is their goal. Recycling plastic is better than wasting new oil, BUT, the recycling process releases Deadly Toxins. Recycling is better than landfills, BUT, in Emerald Eco-City, petroleum-based plastic containers will be REPLACED with REUSABLE glass, ceramic or stainless steel. NO BOTTLED WATER IN DISPOSABLE PLASTIC CONTAINERS. Reusing wood / paper is better than deforestation, but it requires toxic treatments, and adhesives. Tires can be recapped or recycled, but innovations like carbon nanotubes and “twheels” should greatly reduce the need for short-lived tire rubber. New tires are now being made from Orange Peels. Emerald Eco-City electric transportation will for the most part not need conventional pneumatic rubber tires. Products like batteries, electronics, motors, metals, construction materials, etc. MUST be designed for easy / inexpensive REUSE or RECYCLING – Longer-life, upgradable, rechargeable, renewable products should greatly reduce the need for many disposable things. Organic garbage WILL be turned into useful compost for xeriscaping and growing our own food. Compost and sewage will be continually tested and purified with today’s best technology for never-ending reuse. NO PRODUCTS WILL BE IMPORTED INTO EMERALD ECO-CITY IN DISPOSABLE CONTAINERS. We will grow-or-make our own versions in REUSABLE containers. Disposable petroleum-based plastic and aluminum products will for the most part be eliminated. We will NOT allow toys to be used to entice children to eat unhealthy food ! DURABLE plastic toys will be sold in Emerald Eco-City. When a child outgrows them, they will be sanitized, freshened up, and made available to younger children. Most liquid products will be dispensed in standard size / shape durable glass containers. Our Eco-City will have a plant to sanitize our own glass containers for endless safe reuse, just like milk was done half a century ago. The TOTAL cost (all things considered) will be much lower than shortsighted disposable plastic. We hope to become a role model for the C2C REUSABLE world of tomorrow. All imported products from outside Emerald Eco-City MUST conform to our packaging and reuse standards. No Exceptions – No Excuses – No compromise. Most of the locally-produced Emerald Eco-City food will be harvested hours before it is sold. Robot messengers will deliver it in minutes anywhere inside the city (or nearby Eco-Cities). Most fresh food (eaten the same day it is harvested) will NOT need preservatives, plastic packaging, or even refrigeration. It will be a very-efficient, clean, green, nutritious, healthy, C2C Zero Waste lifestyle for all. Is the powerful "Objective Zero" behind Emerald Eco-City becoming obvious yet?